دورودیان, محدثه, پیشوایی, میر سامان, فرهنگ مقدم, بابک. (1396). مکان‌یابی بندرخشک با رویکرد مکان‌یابی محورها در شرایط عدم‌قطعیت تقاضا: مطالعه موردی ایران. پژوهشنامه حمل و نقل, 14(3), 185-208. محدثه دورودیان; میر سامان پیشوایی; بابک فرهنگ مقدم. "مکان‌یابی بندرخشک با رویکرد مکان‌یابی محورها در شرایط عدم‌قطعیت تقاضا: مطالعه موردی ایران". پژوهشنامه حمل و نقل, 14, 3, 1396, 185-208. دورودیان, محدثه, پیشوایی, میر سامان, فرهنگ مقدم, بابک. (1396). 'مکان‌یابی بندرخشک با رویکرد مکان‌یابی محورها در شرایط عدم‌قطعیت تقاضا: مطالعه موردی ایران', پژوهشنامه حمل و نقل, 14(3), pp. 185-208. دورودیان, محدثه, پیشوایی, میر سامان, فرهنگ مقدم, بابک. مکان‌یابی بندرخشک با رویکرد مکان‌یابی محورها در شرایط عدم‌قطعیت تقاضا: مطالعه موردی ایران. پژوهشنامه حمل و نقل, 1396; 14(3): 185-208. مهم‏ترین مشکلی که امروزه بنادر ساحلی به علت استفاده روزافزون از کانتینر در حمل­ونقل دریایی با آن مواجه­اند، فقدان فضای کافی جهت انبارش کانتینرها، هزینه‏های بالای زمین و عدم وجود دسترسی مطلوب به مبادی و مقاصد کالا است. مناسب‏ترین شیوه برای غلبه بر مسائل جاری استفاده از مفهوم بندرخشک به‌عنوان پایانه­ی حمل­ونقل چندوجهی، با فاصله مناسب نسبت به بنادر ساحلی و مبادی و مقاصد داخل کشور است. در این پژوهش به مدل‏سازی مسئله مکان‏یابی بندرخشک به‌عنوان پایانه‏ی حمل‏ونقل چندوجهی با استفاده از رویکرد مسئله مکان­یابی- تخصیص p-هاب میانه پرداخته شده است. برای نزدیک شدن به شرایط دنیای واقعی پارامتر تقاضا، غیرقطعی فرض شده است؛ بنابراین در این پژوهش مدلی استوار که در برابر عدم‌قطعیت مقاوم باشد پیشنهاد شده است. مدل­های بهینه­سازی­ استوار سناریو محور، امکان تولید جواب موجه و بهینه در برابر نوسان پارامترهای غیرقطعی مسئله را دارند. داده­های استفاده شده برای این مدل داده­های واقعی مربوط به شبکه حمل­نقل ریلی و جاده­ای ایران است. نتایج به‌کارگیری مدل پیشنهادی برای مکان­یابی بندرخشک در کشور نشان می‌دهد که پتانسیل احداث سه بندرخشک در شهرهای کرمان، فارس و خراسان شمالی وجود دارد. در انتهای پژوهش اعتبارسنجی مدل استوار ارائه شده است. نتایج نشان دهنده 31% بهبود عملکرد مدل و کارایی خروجی مدل استوار پیشنهادی است. 3Assistant Professor, Institute For Management And Planning Studies, Tehran, Iran. With thriving the sea transport market and the increasing use of container, many containers tend to coastal port. The most controversial concerns of the port can be addressed as the lack of space for storage, high cost of land and lack of proper accessibility to origins and destinations due to traditional transportation of commodities. The best solution to tackle with the mentioned issues will be the concept of dry port as a hieratical transportation, with determined capacity and appropriate distances to port and origin-destination of Commodity. In this research, hieratical dry port location problem with hub location approach has been studied. The demand parameter is assumed as uncertain parameter in the presented model due to more adaption with real world situation. Uncertain parameter concept is considered in this paper to have a mathematical model with robust output under parameter variations. Robust optimization scenario-based model can produce feasible and optimal solutions under parameter variations. The obtained result from presented mathematical model for coastal-port location problem indicate to possibility of establishing 3 coastal-ports in Kerman, Fars and Khorasan-shomali. Also, the validity of the proposed model is presented. At last, results demonstrate to 31% outperformance of presented model and productivity of output robust model. Aghezzaf, E. H., Sitompul, C., & Najid, N. M. (2010), "Models for robust tactical planning in multi-stage production systems with uncertain demands". Computers and Operations Research, 37(5), pp.880–889. http://doi.org/10.1016/j.cor.2009.03.012. -Alumur, S., & Kara, B. Y. (2008), "Network hub location problems: The state of the art". European Journal of Operational Research, 190(1), pp.1–21. http://doi.org/10.1016/j.ejor.2007.06.008. -Ambrosino, D., & Sciomachen, A. (2014), "Location of Mid-range Dry Ports in Multimodal Logistic Networks". Procedia - Social and Behavioral Sciences, 108, pp.118–128. -Ben-Tal, a., & Nemirovski, a. (1998), "Robust Convex Optimization. Mathematics of Operations Research", 23(4), pp.769–805. http://doi.org/10.1287/moor.23.4.769. -Bourgani, E., & Stylios, C. D. (2013), "Fuzzy Cognitive Maps for Decision Making of Complex Logistic Systems". Dept. of Computer Engineering, 1. -Campbell, J. F., & O’Kelly, M. E. (2012), "Twenty-Five Years of Hub Location Research - Tags: TRANSPORTATION Science (Periodical) NETWORK hubs. Transportation Science, 46(2), pp.153–169. http://doi.org/10.1287/trsc.1120.0410. -Canh, L., & Notteboom, T. (2016), "A Multi-Criteria Approach to Dry Port Location in Developing Economies with Application to Vietnam", 32(1), pp.23–32. Crainic, T. G., Dell’Olmo, P., Ricciardi, N., Sgalambro, A., Dell’Olmo, P., Ricciardi, N., … Sgalambro, A. (2014)," Modeling dry-port-based freight distribution planning". Transportation Research Part C: Emerging Technologies, 55, 518–534. http://doi.org/10.1016/j.trc.2015.03.026. -Deveci, M., Demirel, N.  etin, John, R., & ? ?zcan, E. (2015), "Fuzzy multi-criteria decision making for carbon dioxide geological storage in Turkey". Journal of Natural Gas Science and Engineering.http://doi.org/10.1016/j.jngse.2015.09.004. 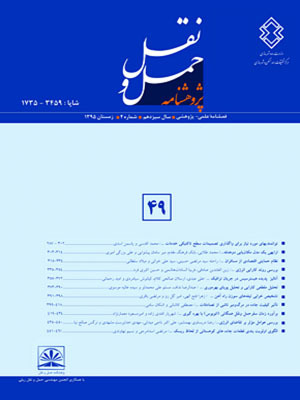 -Farahani, R. Z., Hekmatfar, M., Arabani, A. B., & Nikbakhsh, E. (2013), "Hub location problems: A review of models, classification, solution techniques, and applications". Computers and Industrial Engineering, 64(4), pp.1096–1109. http://doi.org/10.1016/j.cie.2013.01.012. -Feng, X., Zhang, Y., Li, Y., & Wang, W. (2013), "A location-allocation model for seaport-dry port system optimization. Discrete Dynamics in Nature and Society", http://doi.org/10.1155/2013/309585. -Hanaoka, S. (2012), "Application of analytic hierarchy process for location analysis of logistics centers in Laos. TRB Annual Meeting Compendium". Retrieved from http://t2r2.star.titech.ac.jp/cgibin/publicationinfo.cgi?q_publication_content_number=CTT100633376nhttp://docs.trb.org/prp/12-0471.pdf. -Ishfaq, R., & Sox, C. R. (2011), "Hub location-allocation in intermodal logistic networks". European Journal of Operational Research, 210(2), pp.213–230. http://doi.org/10.1016/j.ejor.2010.09.017. -Li, F., Shi, X., & Hu, H. (2011), "Location selection of dry port based on AP clustering: The case of SouthWest China. LISS 2011 - Proceedings of the 1st International Conference on Logistics, Informatics and Service Science, 2(5), pp.255–261. Retrieved from http://www.scopus.com/inward/record.url?eid=2-s2.084885923516&partnerID=40&md5=c66e4b924063f39927bd8d60538bfc4e. -Lihoussou, M., & Limbourg, S. (2012), "Intermodal transportation network design under uncertainty : case of the Hinterland of the port of Cotonou", (May). -Mulvey, J. M., Vanderbei, R. J., Zenios, S. a, & John M Mulvey, Robert J Vanderbei, S. a Z. (1995), "Robust optimization of large-scale systems". Operations Research, 43(2), pp.264–281. http://doi.org/10.1287/opre.43.2.264. -O’Kelly, M. E., & Miller, H. J. (1994), The hub network design problem:: A review and synthesis. Journal of Transport Geography, 2(1), pp.31–40. -Pishvaee, M. S., & Torabi, S. A. (2010), A possibilistic programming approach for closed-loop supply chain network design under uncertainty. Fuzzy Sets and Systems, 161(20), pp.2668–2683. -Racunica, I., & Wynter, L. (2005), Optimal location of intermodal freight hubs. Transportation Research Part B: Methodological, 39(5), pp.453–477. http://doi.org/10.1016/j.trb.2004.07.001. -Steadieseifi, M., Dellaert, N. P., Nuijten, W., Van Woensel, T., & Raoufi, R. (2014), "Multimodal freight transportation planning: A literature review. European Journal of Operational Research", 233(1), pp.1–15. http://doi.org/10.1016/j.ejor.2013.06.055. UNCTAD. (1991). Handbook on the management and operation of dry ports. Unctad. -Wang, C. H., & Wei, J. Y. (2009), "Research on the dry port location of Tianjin Port based on analytic network process. 2008 International Seminar on Business and Information Management, ISBIM 2008, 1, pp.75–78. http://doi.org/10.1109/ISBIM.2008.74. -Woxenius, J., Roso, V., & Lumsden, K. (2004), "The dry port concept–connecting seaports with their hinterland by rail. ICLSP, Dalian, (September), pp.22–26. -Zhang, X., & Wang, C. C.-Z. (2011), "Application of analytic network process in agricultural products logistics performance evaluation Innovative Computing and Information, 231, pp.500–506. Retrieved from http://www.scopus.com/inward/record.url?